"The Star-spangled Banner" played five times at the FAI World Air Games medal ceremony earlier tonight (December 6), as Team USA pilots Curtis Bartholomew and Nick Batsch dominated the event. Bartholomew was the victor in the accuracy and combined titles, and also collected the gold team medal for the USA. Batsch won the speed and freestyle events. But the distance category gold went to Cornelia Mihai, who also won two bronze medals for Team United Arab Emirates. "It takes a lot of hard work to get here," Bartholomew said afterwards. "We train all year round." "My neck's starting to hurt!" 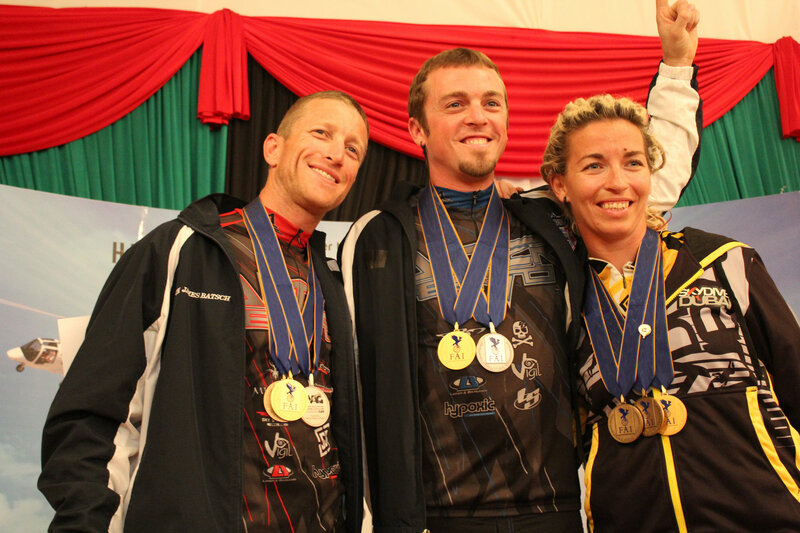 Batsch added with a smile, gesturing to the impressive collection of medals round his neck. You can find all the results of the canopy piloting competition on the World Air Games Dubai website.